Medical providers file electronic claims conforming to the Health Insurance Portability and Accountability Act (HIPAA) enacted by the U.S. Congress in 1996. The Centers for Medicare and Medicaid Services (CMS) has mandated the Electronic Data Interchange (EDI) 837 Standard for processing health care claims with data such as billing, demographic, and diagnosis information. Each state implements its own version of the EDI 837 format. All medical providers must adhere to the standards of their respective states for filing claim information. Each electronic claim file is subjected to various edits to before being submitted. These edits validate that the file conforms to the EDI 837 file format and that the file would not be rejected by the state. After each EDI submission, an acknowledgment receipt is sent to the submitter confirming a successful submission or a list of failed submissions. Electronic claims processing software used in preparing the claim information should include fairly complex business rules, and must reflect a good understanding of the most recent HIPAA rules. In addition to conforming to HIPAA rules, the electronic claims processing software must also adhere to several privacy and security rules. Moreover, since HIPAA rules may change, the software should have the ability to easily update itself. Electronic claims processing software application have traditionally been implemented using Client-Server architecture so that facilities can locally scrub and transmit their electronic claims or transmit their claims to a clearinghouse. Since most of these clients are Windows-based machines, Microsoft .NET is often the preferred choice for developing a software solution for such an architecture. Most likely, these clients are smart clients (thick clients) that have the ability to function both in an online and offline mode. Utilization of local resources enables client to process the file locally before submitting to the central server, thereby putting less load on the server. Intelligent update means that clients can be updated directly from the server. 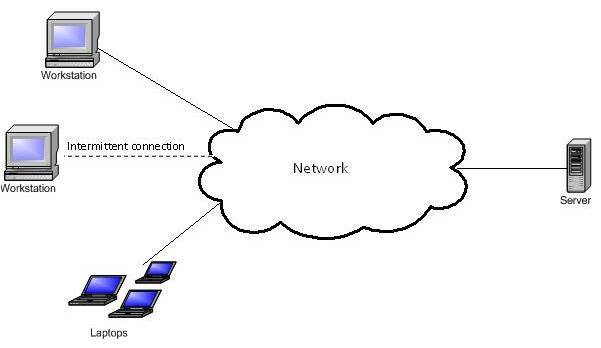 Offline capability of the smart client makes it possible to work even when the client is not connected to a network. This is beneficial especially when the network connection is unreliable. Is highly customizable for developing smart clients. Is “pluggable” in that it enables the development of a variety of independent but cooperating modules such as authentication, exception handling, web-service handlers, etc. More readily allows addition of new modules to the existing solution, making upgrades easier to implement. Cross-platform support – can run on multiple devices, regardless of operating system. With new technologies, such as HTML5 and CSS3, applications can be developed with greater usability and run on a mobile phone, an iPad or other tablet computer. With data encryption and a well designed infrastructure, these application can meet security and privacy standards for protection of personally identifiable healthcare information (PHI). Updates or new software versions can be managed centrally, from dedicated servers or HIPAA compliant private cloud computing environment. Developing an electronic claims processing software application to process the EDI 837 format is not a trivial undertaking; Ayoka has integrated this capability into a range of healthcare applications, from hospital groups to companies that sell home health care software. The upside of directly integrating claims processing into your application is to provide a continuous user experience – your customers do not have to leave your application and can get immediate notification on errors that they can fix and automatically propagate throughout their healthcare software, prior to submittal. In addition, changes to electronic claims processing format and rules for validating the format can be managed centrally. With healthcare as an evolving industry, web based applications provide the greatest flexibility toward future changes in HIPAA, as well as mergers or acquisitions among your healthcare customers.